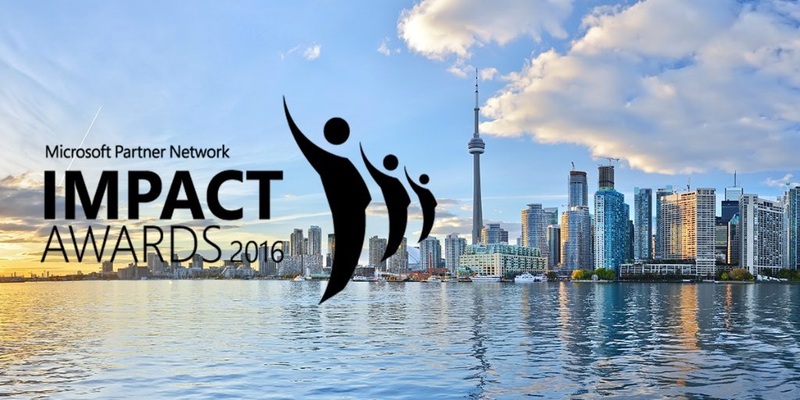 VANCOUVER, BC--(Marketwired - June 29, 2016) - MediaValet Inc. (TSX VENTURE: MVP), a leading provider of cloud-based digital asset management software (DAMS) is proud to announce that Microsoft has selected MediaValet as a finalist for two 2016 Canadian IMPACT Awards ("Modern Marketing Innovation Award" and "Winning Together Award") and one global Partner of the Year Award ("Modern Marketing Partner of the Year"). MediaValet shared the 'Winning Together Award' nomination and finalist position with its partner, Orckestra Inc., from Montreal. Each year, Microsoft recognizes outstanding organizations in their partner network for exceptional accomplishments and announces finalists that they consider to be "examples of excellence." As part of their Worldwide Partner Conference held in July each year, they evaluate thousands of nominations for regional IMPACT awards and global Partner of the Year awards. This year, there were more than 2,500 nominations from 119 countries for 37 Partner of the Year awards. Being named finalist for the "Modern Marketing Partner of the Year Award" is a testament to MediaValet's excellence in content marketing and thought leadership. Microsoft's Canadian IMPACT Awards "celebrate innovation in technology and impact in Canada" by recognizing Microsoft partners that are "delivering leading solutions to Canadian businesses." Microsoft named MediaValet, together with our partner Orckestra, as a finalist in the "Winning Together Award" for our work with one of Canada's largest retailers. "We are honoured to share this nomination with our friends and partners at MediaValet," commented Vincent Trépanier, Executive Vice-President & Co-Founder of Orckestra Inc. "With solutions both built in Azure, the customer benefited from a faster and easier implementation time. Through the power of the Microsoft Partner Network, we were able to connect with David MacLaren and his team in order to provide an exceptional cloud-based digital customer experience." "We were selected as a finalist and ultimately won our first Canadian IMPACT award in 2011 when MediaValet was in its infancy," commented David MacLaren, founder and CEO of MediaValet. "I have to say, we're overwhelmed this year with being named a finalist for not only two Canadian IMPACT awards but also one global Partner of the Year awards. We've truly come a long way since 2011 and we've only just begun. I want to thank our entire team, our partners and all of our customers for making MediaValet what it is today -- Thank you!" MediaValet stands at the forefront of the cloud-based digital asset management industry. Built exclusively on Microsoft Azure and available on 26 highly secure and hyper scalable data centers around the world, MediaValet is uniquely equipped to meet the digital asset management needs of any organization, no matter its size, its industry or its location. Cutting-edge technology, exceptional product design, and unlimited friendly customer service are at the core of MediaValet's DNA -- ensuring exceptional customer and user experiences are delivered at all times.